Dental sealants are popular forms of preventative treatment for children, typically administered between the ages of 6 and 18. Sealants are used to protect adult molars (the teeth located in the back of the mouth) from bacteria that builds up from everyday food particles. These molars have deep fissures (or grooves), making them difficult to thoroughly clean. A sealant acts as a barrier for these teeth, providing a smooth surface that is easily cleaned. Dental sealants provide a substantial barrier against tooth decay and cavities in younger patients. 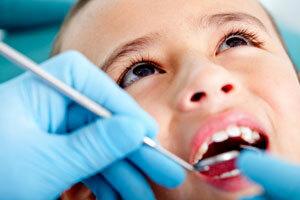 Call us today, and find out if sealants are the right choice for your child!